Oftentimes, the best way to move forward is to take a step back. Pump the brakes, take a breath, focus and contemplate the bigger picture. Take inventory of yourself and where you came from. Tap into that raw essence to fully discover the pathway forward. 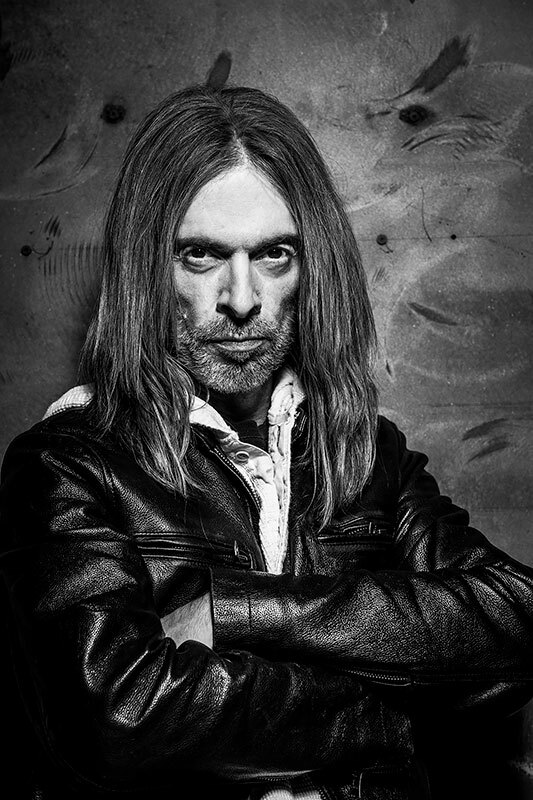 A seasoned troubadour from down South with a dense, rich, and colorful life experience, Rex Brown is far greater than the sum total of his already impressive discography as it’s been laid down. Stepping out as a frontman for the first time, Rex reintroduces himself to the world on his barn-burning debut solo album, ​​Smoke On This. Brown wields a six-string guitar as confidently as he wore the bass in Pantera and Down. His engaging voice crackles with easygoing spirit and truth-telling power. It’s a crunchy drawl that’s down-to-earth, grippingly relatable, charmingly welcoming, and gritty, somewhere between the achingly resonant spiritual shamanism of Tom Waits and the instantly recognizable everyman AM radio vibes of Tom Petty and the Heartbreakers. This is guitar-slinging old-school rock, with a nod to the seventies and a firm grasp on the future, the kind of songs evocative of a beat-up truck with the windows down and its eight-track player cranked up, or the soundtrack to a quiet night in with a can of PBR. Who is Rex Brown? To the industry, fellow musicians, and a legion of fans around the world, he’s the bassist for Pantera, one of the biggest hard rock and metal acts of the past few decades, alongside Nirvana and Metallica. They had Number One albums with minimal support from traditional commercial outlets and went platinum several times over. Pantera rode a groundswell of underground loyalty, earned through several years of blood, sweat, and road beers. Five major label albums, countless international tours, and a series of carnage-filled home videos cemented a legacy as large as their massive riffs and the band’s insatiable appetites for mayhem, authenticity, and brotherhood. As documented with stark honesty and emotional courage in the pages of his memoir, 101 Truth, 101 Proof: The Inside Story of Pantera, Brown and his Texas brethren forged a unique musical identity comprised of bottom-heavy rhythms, fearless guitar histrionics and blunt-force savagery, a blueprint that’s been followed by nearly every single metal act that formed in their wake. Late lead guitar player Darrell “Dimebag” Abbott is rightly immortalized as a good-natured, guitar-shredding legend. Rex also worked alongside Pantera frontman Philip H. Anselmo in Down, issuing three full-length albums expanded and enhanced by moody grooves and stoneriffic doom, layering a hazy down-tuned smoke all over their Southern metal. In 2011, he formed the supergroup Kill Devil Hill, together with Vinny Appice, drummer for the late Ronnie James Dio and Black Sabbath. Drums were tracked by Christopher Williams, himself no stranger to diverse tastes, from funk music to punk. His talent has been utilized by country music star Lee Greenwood, the reconstituted Blackfoot and most recently, power metal legends Accept. The album was produced by New Yorker turned Nashville transplant Caleb Sherman, a multi-instrumentalist with work on records by Little Big Town and Porter Block, among others. “Caleb produced the project from a musician’s standpoint,” adds Brown. “Not just a typical producer’s standpoint, which was something I definitely needed. Between Caleb and Lance, we were a force to be reckoned with. They really pulled out the best in me.” Peter Keyes, known for his work with Lynyrd Skynyrd can also be heard on a few tracks. Check out some of Rex’s new music here.